Why is music called the divine art and all other arts are not called so? Certainly we may see God in all arts and all sciences, but in music alone we see God free from all form and thought. In every other art there is idolatry. Every thought, every word has its form; sound alone is free from form. Every word of poetry forms a picture in your mind; sound alone does not make any object appear before you. All would rather hear music than a speech. By sound the world was created. In Vedanta it is called Nada Brahma, Sound-God. A Persian poet says, "They say that the angels sang to the soul to make it become man, but really the soul was sound." The poets have said that by singing the angels induced the soul to enter the human body. The soul that has always been free is unwilling to enter the body. Really before its incarnation the soul is sound. It is for this reason that we love sound. The breath, the speech, the step, all have rhythm. Religions have all made music part of their worship. The Sufi especially loves music, calling it Ghiza-i-ruh, food of the soul. In speaking on the harmony of music, I should like to say that true harmony of music comes from the harmony of the soul, and that music alone can be called real which comes from the harmony of the soul, its true source; and when it comes from there, it must appeal to all souls. Every soul differs in its choice in life, in its choice of the path it should follow. This is owing to the difference of mind, but in their essence souls do not differ. Therefore whatever means be chosen to bring the different minds of people together, there cannot be a better means to harmonize them than music. It would be no exaggeration if I said that music alone can be the means by which the souls of races, nations, and families which are today so apart may become one day united. Therefore the musician's lesson in life is a great one. Music is expressed not by language, but by beauty of rhythm and tone reaching far beyond language. And the more the musician is conscious of his mission in life, the greater service can he do to humanity. Now as to the law of music which exists in different nations, there are of course differences of method, but in the conception of beauty there is no difference. The differences come when the music is man-made; there is no difference in the soul-made music. Suppose a man may come from the Far East, the extreme North, South, or West, but wherever he sees the beauty of nature, he cannot help admiring and loving it. And so a music lover, from whatever country he comes and whatever music he hears, if the music has soul and if the music lover seeks for the soul in the music, he will appreciate and admire all music. Furthermore, music has a mission not only with the multitudes, but with individuals. And its mission with the individual is as necessary and great as its mission with the multitude. All the trouble in the world, and all the disastrous results arising out of it, all come from lack of harmony. And this shows that the world needs harmony today more than ever before. So if the musician understands this, his customer is the whole world. When a person learns music, he need not necessarily learn to be a musician or to become a source of pleasure and joy to his fellow man; no, but by playing, loving, and hearing music, he must develop music in his personality. The true use of music is to become musical in one's thoughts, words, and actions. We must be able to give the harmony for which the soul yearns and longs every moment. All the tragedy in the world, in the individual and in the multitude, comes from lack of harmony. And harmony is best given by producing harmony in one's own life. There are different kinds of music, each kind appealing to certain souls according to their evolution. For an instance, the children in the streets are very pleased by beating the time, because that rhythm has a certain effect upon them; but as a person evolves so he longs for a finer harmony. Why people like or dislike each other is owing to their different stages of evolution. For instance, one is at a stage when he appreciates a certain kind of music; another person whose evolution is greater wants music appropriate to his evolution. So it is in religion: some stick to certain beliefs and do not wish to evolve beyond. So it is possible that the lover of music may be tempted to keep to a certain sort of music, and will not rise further. The true way of progressing through music is to evolve freely, to go forward, not caring what others think, and in this way, together with one's development in music, to harmonize one's soul life, one's surroundings, and one's affairs. During my travels throughout the world, I have heard the music of many different places, and always I have felt that intimate friendship and brotherhood existing in music; and I always had a great respect for music and for the devotee of music. And one thing I believe, and when in India, was convinced of it time after time in meeting those who have touched some perfection in music: that not only in their music, but in their life one can feel the harmony which is the real test of perfection. If this principle of music were followed there would be no need for an external religion, and someday music will be the means of expressing universal religion. Time is wanted for this, but there will come a day when music and its philosophy will become the religion of humanity. In Indian music, when several instruments are played together the effect is not produced by the chord or by harmony, but by melody. Each instrument has the melody. In the West, the music is made brilliant, impressive, lively by the chords. We make it so by the melody alone. When music is played before a thousand or ten thousand people, then of course many instruments are needed. When music is played before a few listeners only, then three or four instruments only are needed, or only one. When it is used for concentration, then one instrument, one voice is quite enough. If ten instruments each play a note, then there can be no concentration, the mind is drawn to the ten notes. The mystics, especially the Sufis, have used music in their prayers, in their meditations. It was a part of their devotions. Khwaja Muinuddin Chishti, Khwaja Bandanawaz, made great use of music. I have practiced and experienced myself the use of music in meditation, and I have understood that it is the best means of meditation, the quickest means of freeing the consciousness. When the poet imagines a lake and a mountain, he has the forms, the lake and the mountain, before the eyes of his mind. When the musician thinks of a melody, he has no form, no name before him. He is a plane higher than the poet. Sound has been called God, Nada Brahma, in the Vedanta. In the Gospel of St. John it is called the Word, from which all things have come. First there was the sound, God was sound; and from the sound, by the sound, all this world was manifested. The story tells that when man was created first the soul was unwilling to enter the body, saying, "This is a prison, it is dark, and I have always been free." Then God commanded the angels to sing. When they sang, the soul was in such an ecstasy that it entered the body, not knowing where it was going. By music, also, it can be freed from the physical consciousness. The mother's voice, when she says, "Sleep, sleep," puts the child to sleep, and her voice awakens it again. Music produces so great an ecstasy. Even among those musicians who were not mystics, such as Beethoven or Paderewski, you may see that their ecstasy is so great that they have no attention left even to arrange their hair. To brush their coat becomes a very difficult matter for them. In the West and in the East also it is so. In the East you may see a musician going out to play and leaving his sitar at home. His abstraction is so great that even the instrument is forgotten. In ancient times music was the sacred art. The great musicians were great mystics. Such were Tansen, whose miracles are known all over India, Narada, and Tambara. There are many different practices, but music is the best mystical practice. By music the highest state, the state called samadhi by the yogis, can be produced much more quickly than by any other means. At the present time in the East, music has sunk very low. It has been regarded as an amusement, as a diversion. It was regarded as a national possession, as a source of pride to the ego of the nation, to the nafs. The heritage of their fathers, that which had been built up with so great an effort, with so much care, is now being lost by carelessness, by negligence. In the West also music is being brought down. The musician who advertises himself very much is a great artist; the one who cannot afford to advertise enough is nothing. So much is done for money: it is commercialized and degraded. That which should be valued most highly is brought down to the lowest circles. Our work is not only to speak before you, to lecture before you, to bring you the Sufi Message in books and lectures, but to bring it to you also in music, to play before you, to sing before you, to bring you the truth in the realm of music. In ancient times it was very difficult to speak openly of the truth. The governing authorities were so strict, the religions were so narrow in their interpretations, in their understanding. Especially it was difficult for the Sufis. Many of them have been beheaded for speaking the truth. The mystics therefore invented a way of speaking the truth in music, in words such as, "tum," "dim," "tarona," "la," that apparently had no meaning, so as to be understood by the initiates while to the uninitiated it seemed merely a meaningless song. At the present time, even in the East, there are many who do not know that such words have any meaning. They know that the song is called "tarona;" they do not know what it means. The characteristic of Indian music is that it depends upon the creative talent of the musician in improvisation. An outline is given by the composer, and the musician fills it in as he pleases. Very little is given by the composer, the outline only, and the rest is the expression by the singer of his feeling at the time of singing. Music in India has always been used not as an amusement but as a means of mystical development. Therefore the sound of the instruments is faint, and even when several instruments are played together the effect is not produced by the chord, by harmony, but by melody. Each instrument has the melody. There is very little written music in the East. Thee are many reasons for this. There is a system in the Sanskrit manuscripts, but there are very few who read it. The system must needs be a very complicated one, yet, that is not the hindrance. Notation would hamper the musician, and not leave him free to sing and play what his soul speaks. In India a singer, when he begins to sing, sings first the keynote. Then he repeats it over and over again so as to put himself so much in union with his instrument that his voice and the tone of the instrument may be one. Then he goes a little further and returns to the keynote. Then he goes a little further still, but always returns to the keynote. The musician may take one raga and play that for hours, or he may go from one raga to another. But the more he plays one raga, the more he indulges in that, the more he impresses his soul with it, the more he will find in that. The ragas have sometimes been understood as scales. They are not scales but patterns of notes within the octave. There are four different sorts of ragas: ragas of six notes, ragas of seven notes, ragas of odd notes, and ragas of even notes, ascending and descending. Different ragas have always been played at different times of day. The inner reason for this is that every time of day has its atmosphere, its influence on us. The material reason is that as evening dress is wanted at a banquet, because for so long the eyes have been accustomed to see it, so our ears have been accustomed for very long to hear these ragas at night, in the evening, or at midday. Several ragas are usually sung before dawn. 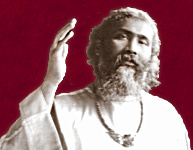 In India before dawn, everyone goes to his work or to his devotions, and there he finds himself very much helped by the stillness of the hour, by the finer vibrations. At midday the noise from all around is much greater and stronger notes are needed. The ragas for midday are made all with natural notes. The ragas of the night are with odd notes. The ragas of the early morning are made with flat notes. I have seen myself that in playing the Vina and singing the raga jogia in the early morning, when people were going to the temple and to the mosque, sometimes they would stop to listen and be rapt in the music. At other times with the same raga I did not even impress myself, according to what the mood was. In the old legends we find that in ancient times music had an effect not upon men or upon animals only, but upon things, upon objects, upon the elements. The flames of fire burst out or the waters stopped running when music was sung or played. In the poem of Tansen which you may have heard read and recited here many times, you will have heard that this was so. A person may ask, "Is this an exaggeration, or is music different now from then, or have we lost this art?" I will say that such singers as I have heard sing in India when I was a boy I never heard since in the next generation. The singers of the ancient times sang the same raga, the same song, hundreds of times, thousands of times, a million times. It is by repetition of one thing, by association that we can produce in ourselves the creative power. To have acquired a great store of knowledge, so many songs, so many ragas is nothing. It is the power of producing from within oneself, of creating, that is great. Indian music gained very much by its contact with Persian music. It learned grace and the expression of Persian music. And it gained much from the beauty of the Arabic rhythm. After the rise of the Moghul empire it was much more beautiful than it had been before. That it is very highly developed is shown by the rhythm also. There are rhythms of five and rhythms of seven, which are very difficult to keep, and there are songs in which no rhythm is apparent for some bars, but the musician keeps it in his mind and after several bars he comes in upon the right beat. There are rhythms which do not begin upon the beat, which always mislead the hearer. There are four different kinds of songs: the Dhrupad, the Qawwal, the Tumri, and the Ghazal. The Dhrupad requires a special training of the voice, just as it is not everyone's work to sing opera music. The Qawwal means imagination, the song of imagination. The word "dance" has been so much debased because the dance has been taken up only by entertainers who have made of it an amusement, and we see that when a thing is made an amusement it always degenerates. When we come to Indian music we find that it has three parts: singing, playing, and dancing. The voice that comes from the lungs and abdomen cannot express itself fully without the bones of the head, the lips, the teeth, the tongue, the palate. So we see that this body is the instrument of sound. When the tree swings in the wind, each leaf gives a sound. The breeze alone cannot produce the full sound. The leaves of the trees rustle and become the instrument for the air. This shows us that the whole framework of this world is the instrument of sound. If, while speaking to you, I remained as still as a statue, my words would have had much less effect than they can have when accompanied by the gesture. If a person says, "Go away from here," and does not move, his words will not have much expression. If he moves his arms, they will have more expression. In India, the pupil is taught to sing with gestures. These take the place of notation, and guide him. A person might think, "Notation would be a much clearer method." But Indian music is so complicated that no notation can render it exactly. Then, too, the intervals are all filled up, and the movements of the hand and arm can express and guide more easily than any written signs. And be able to sing them. He must impress the audience. Our life is so full of occupations that we have little time to observe the animals. If we did, we should see that most of their language is movement. They speak little with one another, mostly they express by their motions. If you call a dog, the dog will at once begin to wag its tail; it will move its whole body to show its joy and affection. If you speak roughly to the dog, its whole body shows that its feeling at once by its movements. We waste much energy in useless speech. In the old races we see that a motion of the hands, an inclination of the head for many things takes the place of words. As soon as a person comes into the room, we see by his movements, by his manner of walking, what he is, how much refinement he has. If we compare the horse whose price is five thousand guineas with the horse whose price is fifty guineas, we see what a difference there is in the movements. The horse of five thousand guineas has not been taught to move as he moves, but in every movement he is graceful. We see that the beauty given to the peacock has inspired in him graceful movements. Dance is a very wonderful thing, and in itself a great proof of mysticism. We have each of us, in us, the nature of the bird and the nature of the animal. The nature of the bird is to fly; the nature of the animal is to jump. The tiger will jump from here to the top of the wall. If we cannot do this, it is because by eating, drinking, sleeping we have lost the power. If a man sits in an armchair and to get up he pulls himself up by the arm, then by eating, drinking, and sleeping he has become so heavy that he is not what he should be. That government is proper which knows what each of the governed is doing. Our mind governs the body. Our mind must have every muscle, each atom of the body under its command. When we move up, all must come up; when we turn to the right, all must turn to the right; when we turn to the left, all must turn to the left. In India there is a dance, the tiger dance. It is kept for the religious festivals. They paint themselves as tigers, and show the tiger dance. This dance has come to us from Egypt as a sacred dance. In the Fikr, in what rhythm you began you should continue to breathe. By losing the rhythm much is lost. Music is the miniature of life's harmony in sound in a concentrated sense. The person who has no rhythm physically cannot walk well, he often stumbles. The person who has no rhythm in his emotions falls easily into a spell, such as laughter, or crying, or anger, or fear. We should practice rhythm in our lives, that we may not be so patient and yielding that everybody takes the best of us; nor so carried away by our enthusiasm and frankness that we say things that are undesirable in the world; nor so meek and mild that we fall into flattery, timidity, and cowardice. Then, by and by, we may understand the rhythm of emotions, then the rhythm of thought, then the rhythm of feeling. Then a person comes into relation with the inner rhythm, which is the true meaning of the world.